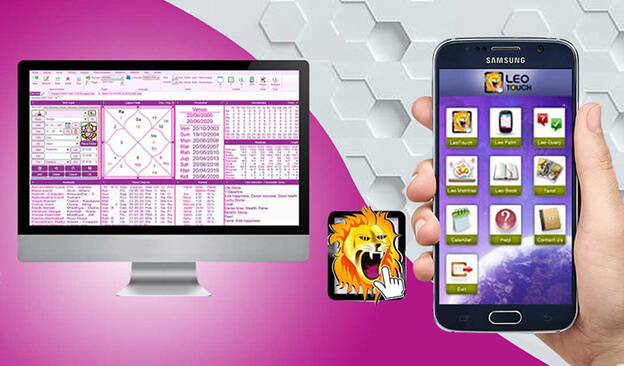 Future Point has created astrology softwares for windows, android mobiles/tablets, share market and web. The total number of softwares are more than 12. 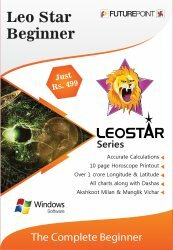 For windows the astrology softwares come under LeoStar series. 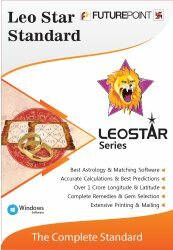 LeoStar software series has various windows based astrology softwares and out of these LeoStar Expert is best Leo astrology software. For androids these softwares fall under LeoTouch series. 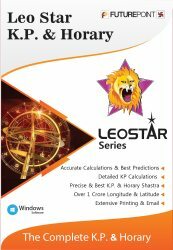 For share market its best astrology software is LeoForecast whereas for websites it is LeoStar API application. By registering to this application any astrological website can show online presence of astrology software. 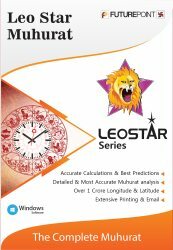 LeoStar API is best online astrology software. 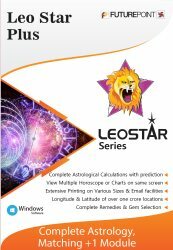 Why should you buy astrology software LeoStar ? 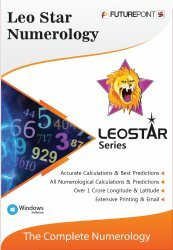 Leostar is the result of meretorious and intensive research work of 40 years. 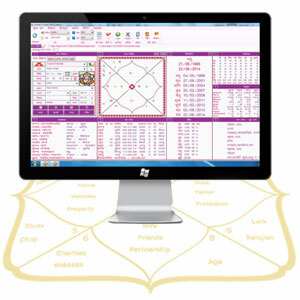 The initial version of this best Vedic Astrology Software was launched in the year 1978 by the name Leo 99. 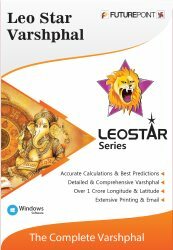 Vedic astrology software LeoStar is user friendly, an ocean of extensive features, calculations, predictions, remedial measures, Panchang, books, calendar etc. which not only supports all systems of astrology but also holds the flag of being most authentic, accurate and reliable and can give the Panchang of next 10, 000 years with the accuracy of second. It is the only software which can cast the accurate horoscopes of the people borne abroad and that is why accepted as best horoscope software in India and abroad by most distinguished professional astrologers. 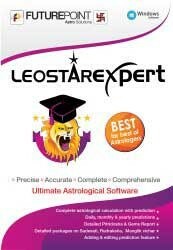 Because of the growing demand of this astrology software among professional astrologers the Professional Edition of it was released in the year 1995 the upgraded version of the same is LeoStar Professional software. Because of these so many qualities this astrological software is rightly termed as professional astrology software. 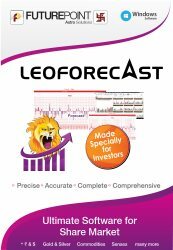 Leo Forecast is the only software in India which can predict about share market trend. One blow of share market can ruin a share market investor whereas one great decision can turn a player into a millionaire. Share market investors always needed an astrological assistance which could help them to know something about the probable share market trend.This is the only software which caters to this need of investors. 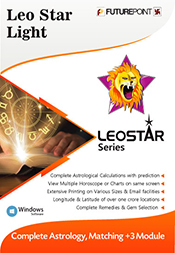 Astrology software LeoStar was launched as Leo 99 in that era when astrologers used to to do the calculations of mathematics of astrology manually.It claimed to champion the challenge of taping the Vedic Astrology mathematics in it but for the community of astrologers at that time it was difficult to understand that how an astrology software can cast a horoscope therefore it went through the test of authenticity and accuracy several times and finally the all most distinguished astrologers of astrologer community at that time accepted it as a true representative of the mathematics of Indian Astrology and its accuracy was also checked and verified by top class international astrologers too and fortunately it passed all tests of its verification and finally won the title of being best Indian astrology software and at that time people used to call it as best Jyotish software. 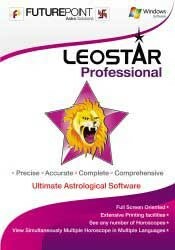 Astrology software supporting all astrology systems with 100 percent acceptability, credibility, accuracy and trust in the community of learned astrologers is termed as best astrology software.Kundli softwares today are several in number and all these softwares including KP software are best kundli matching softwares.Future Point's Kundli softwares for windows come under LeoStar series. 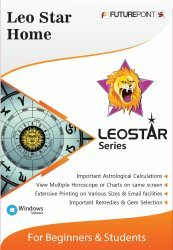 The online astrology software of Future Point is LeoSTar API application.By registering with this application any astrology portal can show online presence of astrology software and then customers can order their copy of horoscope from the astrology portal. 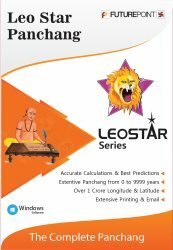 Online Kundli software LeoStar API can cast various models of horoscope created by Future Point. Kundli software online can cast horoscope instantly.The best models of Astrology software online are Kundali Milan, Kundli Phal, Kundali Darpan, Bhrigu Patrika and Lalkitab Shree. One decade back for casting horoscope one had to visit the astrologer personally however, now with the introduction of online astrology software you can get your copy of horoscope of choice at your home instantly. 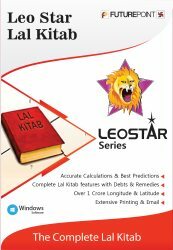 There are various online kundli softwares today but the authenticity and accuracy especially in casting the horoscopes of natives born abroad is questionable as these softwares do not support the day light saving concept and war time correction perfectly whereas the online astrology software of LeoStar is absolutely accurate in casting such horoscopes and that is why all distinguished astrologers prefer to use this astrology software.